The Nissan Leopard is a line of luxury sports cars built by Japanese carmaker Nissan. The Leopard began life in 1980 and was discontinued in 1999. Leopards were initially based on the Japanese market Nissan Skyline and Nissan Laurel and the American Datsun 910/Nissan Maxima, then later based on the chassis of their Nissan Cedric and Nissan Gloria contemporaries and were rear wheel drive. Final versions were the contributing factors to Nissan's Infiniti M and J products. 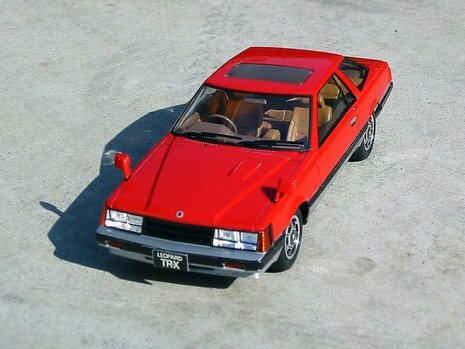 The first Leopard (also known as Leopard TR-X) was introduced in September 1980 as a contender in the upper medium class of cars. The angular body, available as a 2-door hardtop coupe and a 4-door hardtop sedan, featured very thin C- and D-pillars and large glass surfaces. The Leopard featured some industry firsts, for instance a fuel consumption gauge in the dashboard. Originally the Leopard was available with naturally aspirated inline four and six cylinder engines of 1800, 2000 and 2800 cc displacement; in September 1982 (when the car received a mild facelift) a two liter turbo-engine was added. 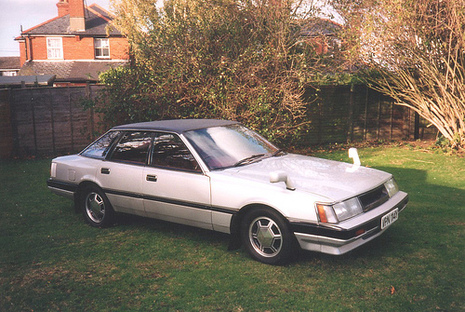 In 1984 a limited Turbo Grand Edition with the 300ZX's 3 litre turbo engine joined the line-up. According to a translated Japanese Wikipedia article on the Leopard, the car was based on the North American market Datsun 810 and shared a common platform with the Datsun 910, which was renamed the Nissan Maxima. The Japanese version had side view mirrors mounted on the front fenders and had small wipers attached to the top of the mirrors to remove accumulated rain on the surface of the mirror. 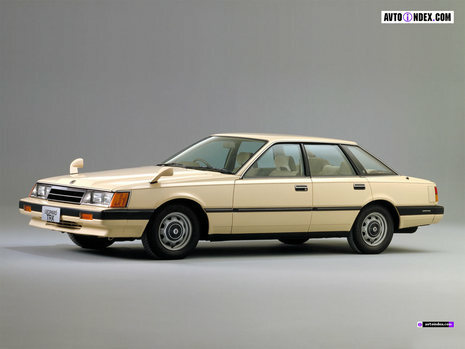 The vehicles styling seemed to be influenced by the Toyota Soarer, however when the Leopard was introduced, the styling was already a little dated as the Soarer had been recently updated.